Launched in October 2016, the new-generation BMW 5 Series is so fresh that SA dealerships are barely getting the 530i and 540i models in the first half of 2017. Fortunately, these aren’t the only versions we’ll be able to buy in South Africa and BMW has just introduced the upcoming iterations at the 2017 Detroit Auto Show. 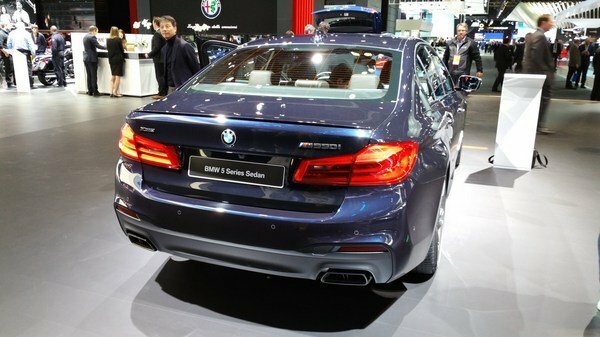 The bad news is that the M5 isn’t here yet, but there is some good news in the 5 Series wearing the M550i xDrive badge. 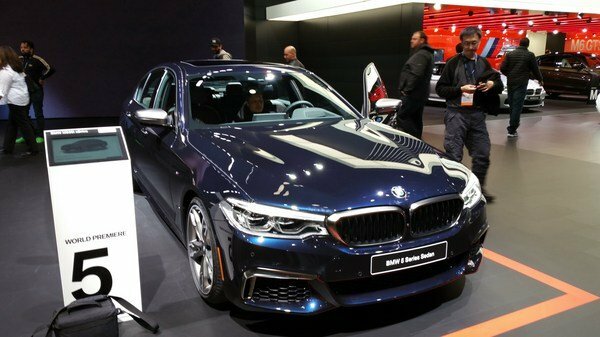 The second model showcased at the Cobo Center is the 530e iPerformance, which is supposed to be the most efficient sedan in the range. The M550i xDrive and 530e iPerformance will join the base four-cylinder 530i, which retails from R720 000, and the six-cylinder 540i, priced from R885000, in S.A. dealerships. The hybrid is the least expensive of the two new additions, set to go on sale for R700 000 before options. Add xDrive for all-wheel drive performance and stability and the sticker increases to R750 000. The first 5 Series to carry a proper hybrid drivetrain, the 530e iPerformance combines the turbocharged, 2.0-liter four-cylinder gasoline engine with electric power for a total system output of 248 horses and 310 pound-feet of torque. Charging from 0 to 60 mph takes six seconds in RWD layout and 5.8 ticks with AWD, which is as quick as the gas-only 530i model. Moving over to the M550i, it comes in at R850 000 before options, which makes it the most expensive current-generation 5 Series as of early 2017. Equipped with xDrive as standard, the M550i gets its juice from a twin-turbo, 4.4-liter V-8 that cranks out 456 horsepower and a whopping 480 pound-feet of torque. That’s a 12-horsepower and 37-pound-feet improvement over the outgoing 550i, which returns an impressive 0-to-60 mph sprint of only 3.9 seconds. This little figure here makes the M550i xDrive the quickest 5 Series yet and only the upcoming M5 will be able to set a better benchmark in terms of acceleration. Both vehicles are set to arrive in SA dealerships this Winter. Granted, a slightly beefed-up 5 Series with a V-8 under the hood will never be able to replace the full-fledged M5 – even if it comes with the letter “M” on its trunk lid – but BMW isn’t trying to do that with the M550i xDrive. Instead, the new nameplate is actually a replacement for the 550i and brings a slightly more aggressive body kit and a new marketing strategy. Despite my previous statement, it’s true that people are tempted to buy a Bimmer with an “M” in its name, even if it’s not the real deal. All told, the M550 xDrive is the quickest 5 Series you can buy right now. It’s pretty pricey and an M5 will come at some point, but if you’re in a hurry, it’s the best options you have. 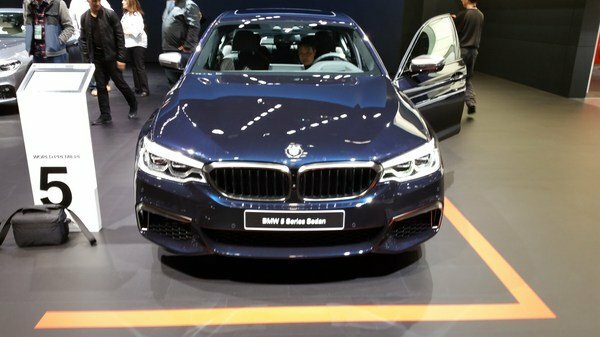 Today, during its world premiere at the North American International Auto Show in Detroit, BMW announced pricing for the latest additions to the new BMW 5 Series model portfolio: the BMW 530e iPerformance Sedan and the BMW M550i xDrive Sedan. Both vehicles will be arriving in SA showrooms in winter 2017. Comments Off on BMW M Performance Parts for the new BMW 3 Series.